Property has high value, long life cycle, the use of dispersed locations, and difficulty in management characteristics. Its management system is an important part of business management. 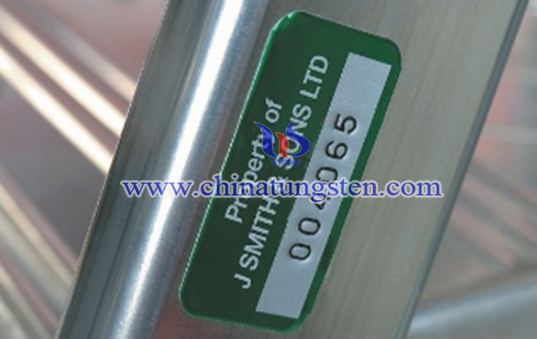 Custom tungsten property ID plate is designed to mark different assets for better management and identification. On the surface of it, company name, department, location, time of purchase, user, asset number, asset name, barcode, asset status will be on it. But some companies would write only some important information. Tungsten material with permanent etching withstands abrasion, chemicals, frequent cleaning, extreme weather conditions and rough handling. It is ideal property ID plate for the harshest environments. 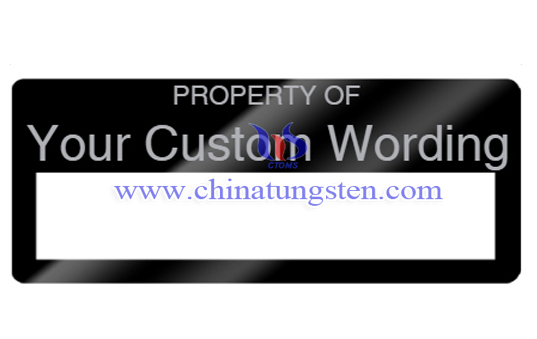 If you have any interest in custom tungsten property ID plate, please feel free to contact us by email: sales@chinatungsten.com sales@xiamentungsten.com or by telephone:0086 592 5129696.